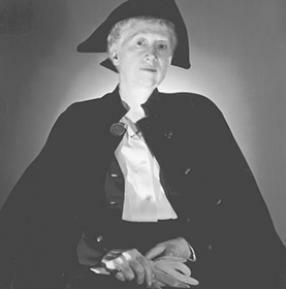 Marianne Moore was an accomplished American writer who, throughout her long life, had the advantage of being popular amongst her readers but was also revered by her writing contemporaries and the literary critics. 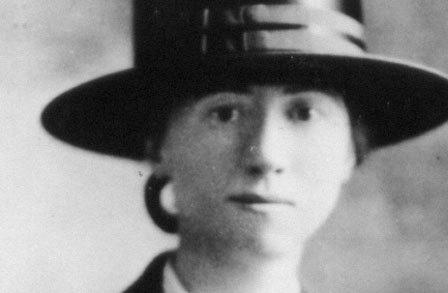 Her technical ability with the language was often noted; while sometimes her poetry did not scan in a conventional sort of way it was still considered to be technically correct. She wasn’t just a writer though. She was a great sports enthusiast and could often be seen at events in her trademark “costume” of black cape and tricorn hat. She numbered the great boxer Muhammed Ali among her many famous friends and acquaintances. She was born in the manse of a Presbyterian Church in November 1887, in the town of Kirkwood, Missouri. This was to become her home during her early years, living with her maternal grandfather who was the pastor at the church. Her father had been committed to a mental institution. 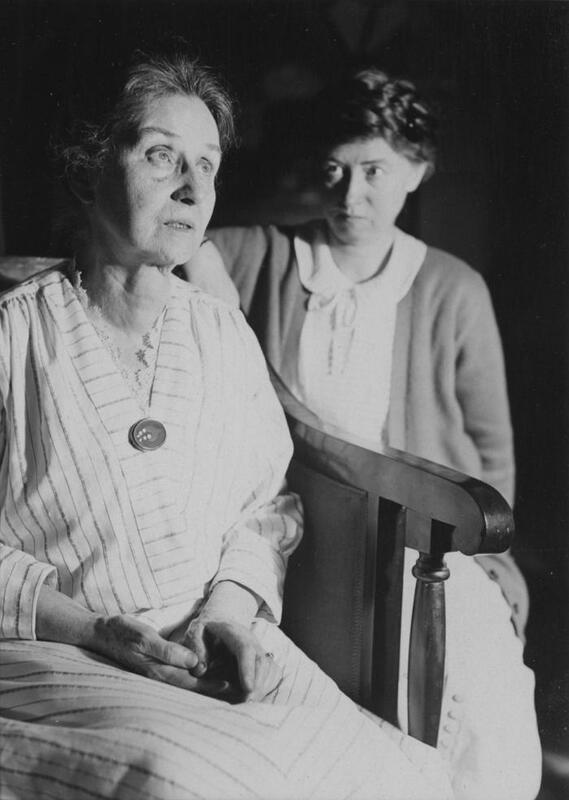 She did well at school and graduated from college in 1909. She secured a teaching post at the Carlisle Indian Industrial School in Carlisle, Pennsylvania and this lasted for the next six years. 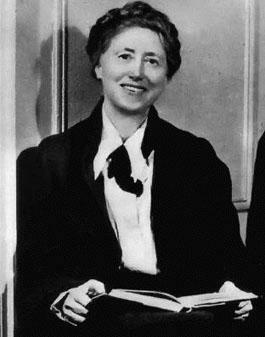 By this time she had written a great deal of poetry and decided to pursue a professional career as a writer. She was able to travel a great deal, including throughout Europe in the years leading up to the outbreak of the First World War. 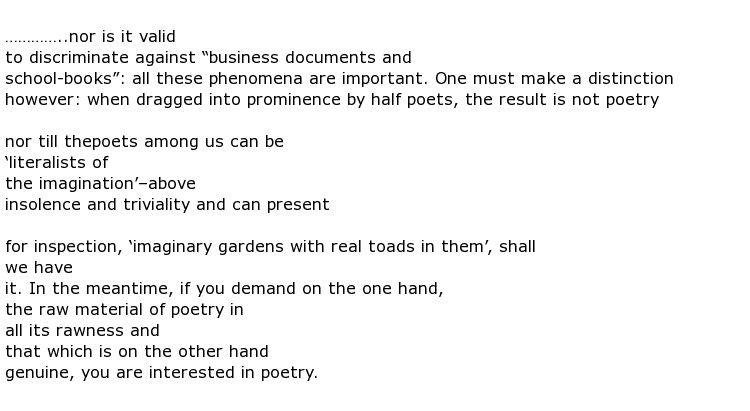 These experiences shaped and improved her writing to such a degree and she soon attracted the attention of already established poets such as T S Eliot and William Carlos Williams. 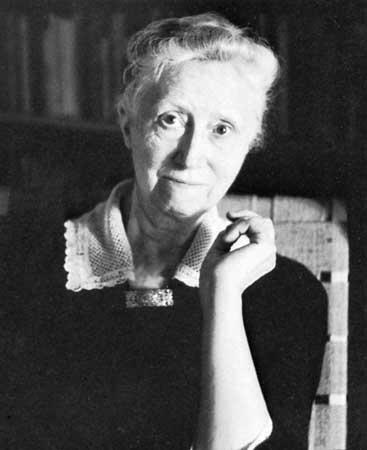 Her development right through to the mid 1920s saw her take on the editorship of The Dial which was a well known literary and cultural journal. As she herself had been mentored by more experienced writers she now found that she could fulfil a similar role to up and coming poets like Allen Ginsberg and James Merrill. 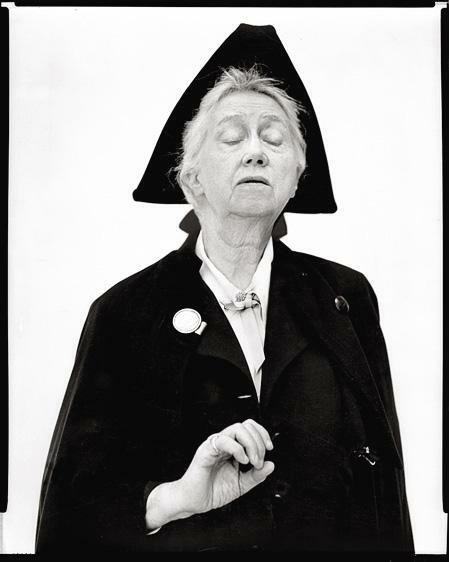 Marianne Moore’s work attracted a string of honours and awards including, perhaps most notably, the Pulitzer Prize for her Collected Poems which was published in 1951. 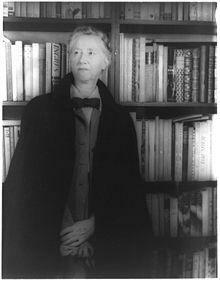 A lot of her work was published in journals such as The New Republic and Partisan Review. She attracted almost film star like attention, particularly when attending sporting events such as baseball matches and boxing, often accompanied by the Mayor of New York City. 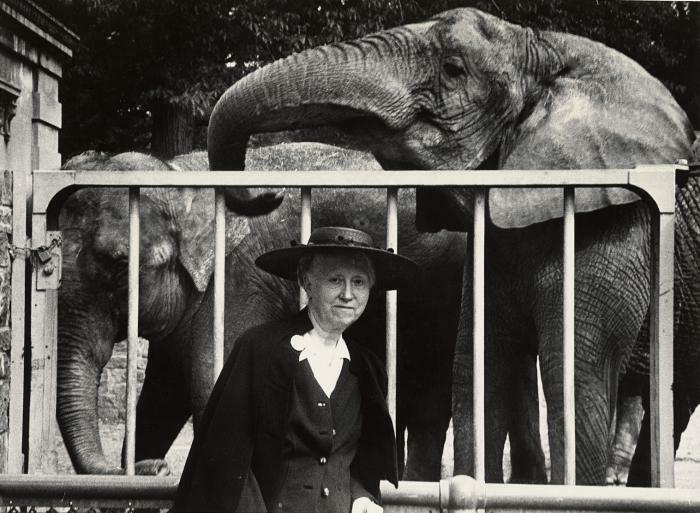 She was also a big fan of athletics and it could be said that this kind of lifestyle was unusual for someone as involved in literature as she was. 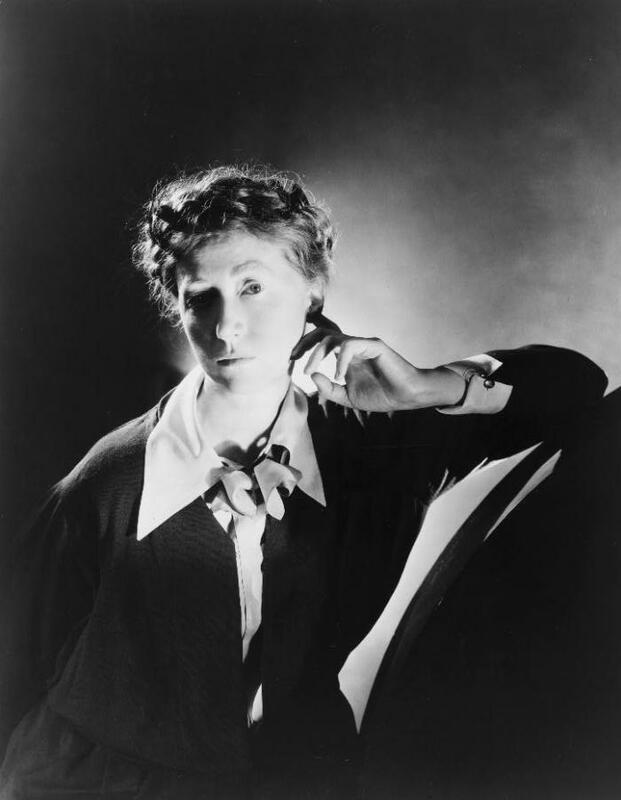 She wrote a lot of poetry but also essays and articles on a variety of subjects including painting and sculpture, music and fashion, and, of course, her beloved sporting interests. She suffered a stroke at the Yankee Stadium in 1968 when she was invited to throw the first pitch of the season and this was the start of a downward spiral in her health. 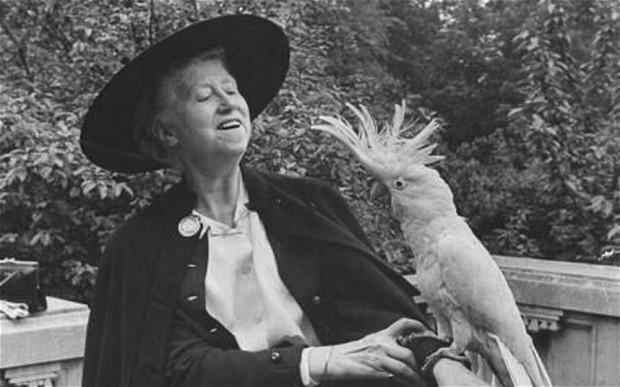 Other strokes followed until, in February 1972, Marianne Moore died aged 84.